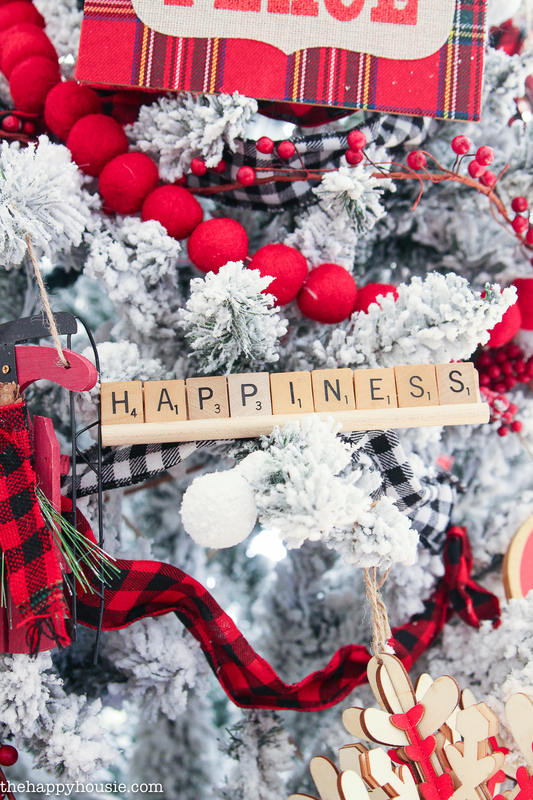 Have you started decorating your Christmas tree yet? Would you laugh out loud, roll your eyes, or give me a high five if I told you that I just finished my third tree last night and plan to start number four today? Well, four trees means a lot of decorations, am I right? 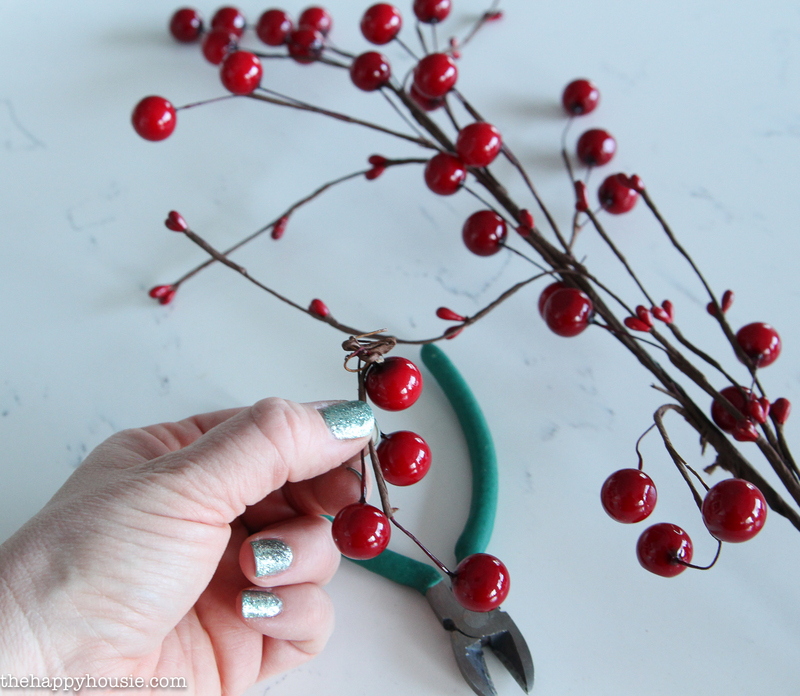 So making a few of my own easy DIY helps me keep things affordable, plus it allows me to add a little custom touch to our trees! 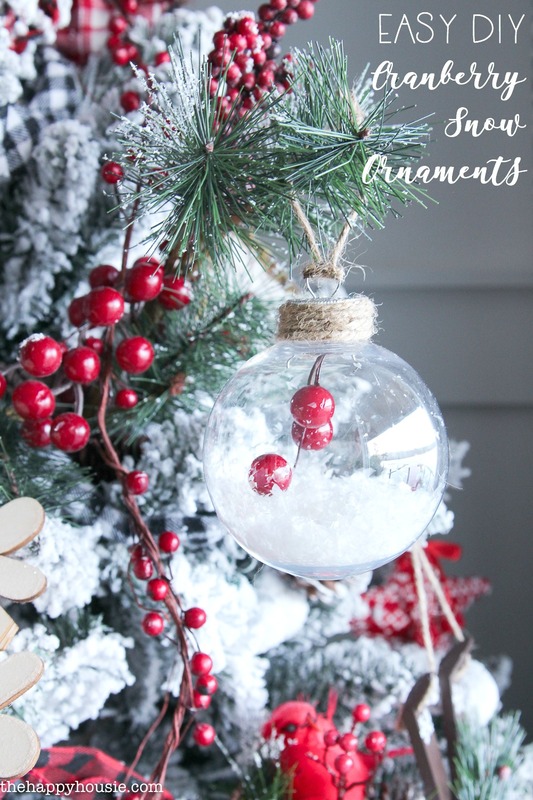 Today I’m sharing two sweet and simple DIY Christmas ornaments with you, and I’ve linked up with some of my super talented blogging friends who are also sharing their DIY Ornaments. I’ve shared their awesome DIY ideas at the bottom of this post. 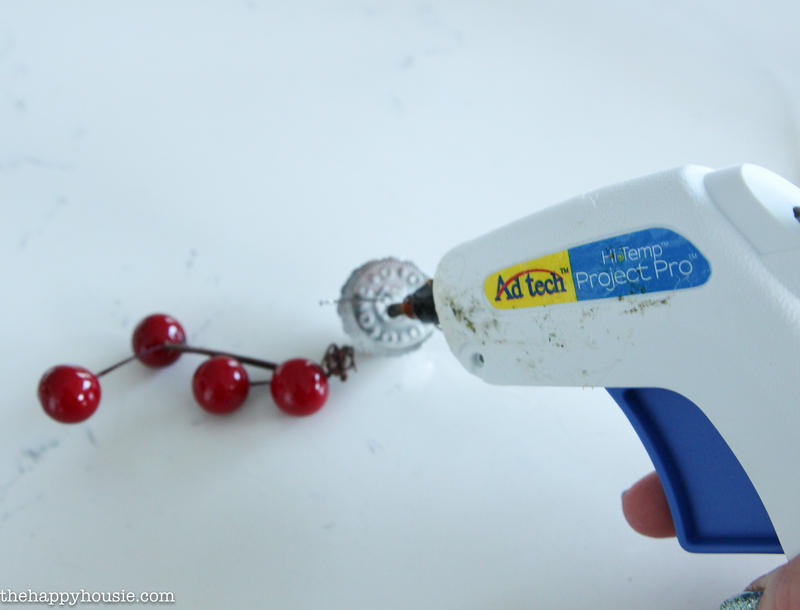 But first, let’s get started with my DIY Scrabble Ornaments and simple DIY snowy cranberry bead ornaments. 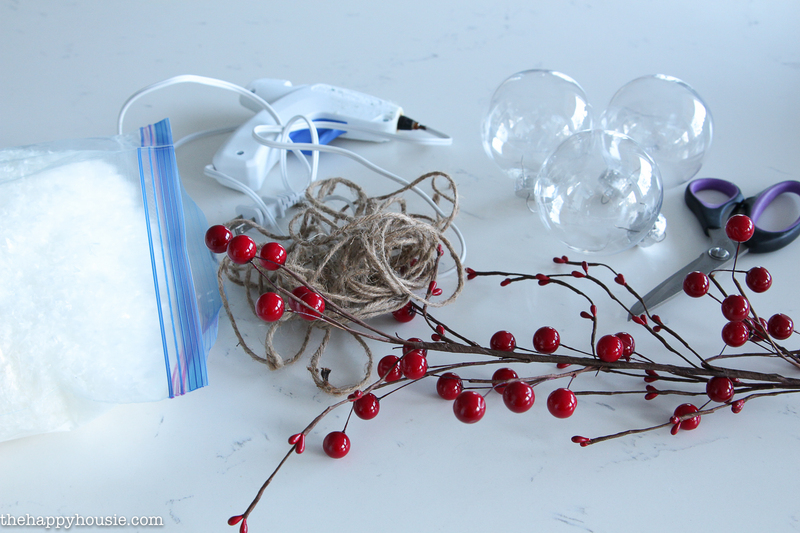 First off, these simple cranberry bead and snowy ornaments… I love the crisp contrast of the red and white. 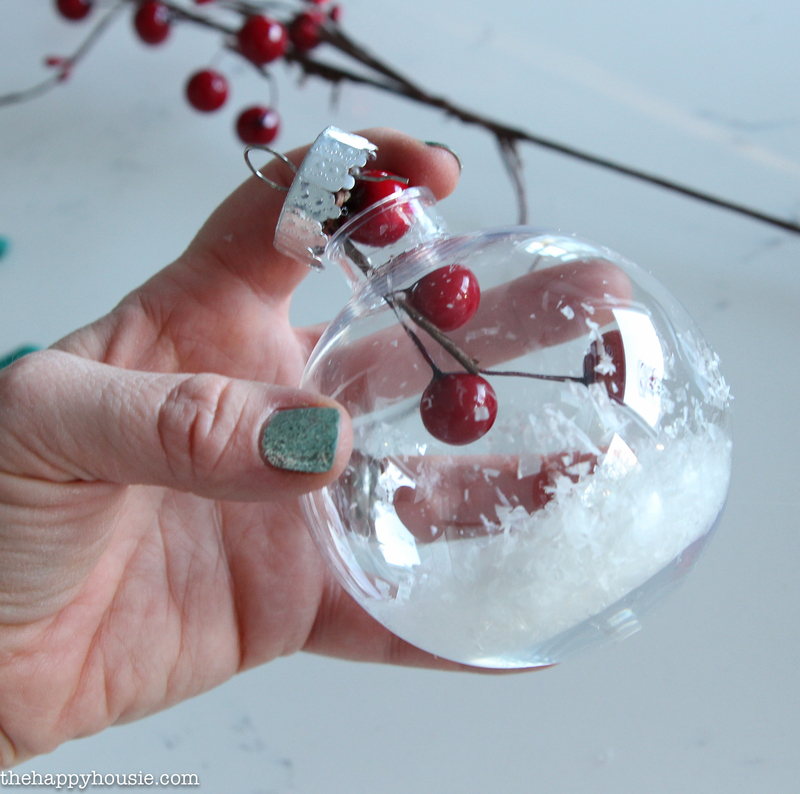 To make these I used clear faux glass (aka plastic) ornaments, red cranberry bead picks, white powdered faux snow, twine, scissors, wire cutters, and a glue gun. I finished it off by hot gluing twine around the outside of the cap, and used twine to hang it with. I was inspired to create these sweet little DIY scrabble tile ornaments after my coworker gave me a couple of them a couple of year’s ago at Christmas time. I kept my eyes open when out at thrift stores or garage sales for a scrabble game, and found one at a steal of a deal. 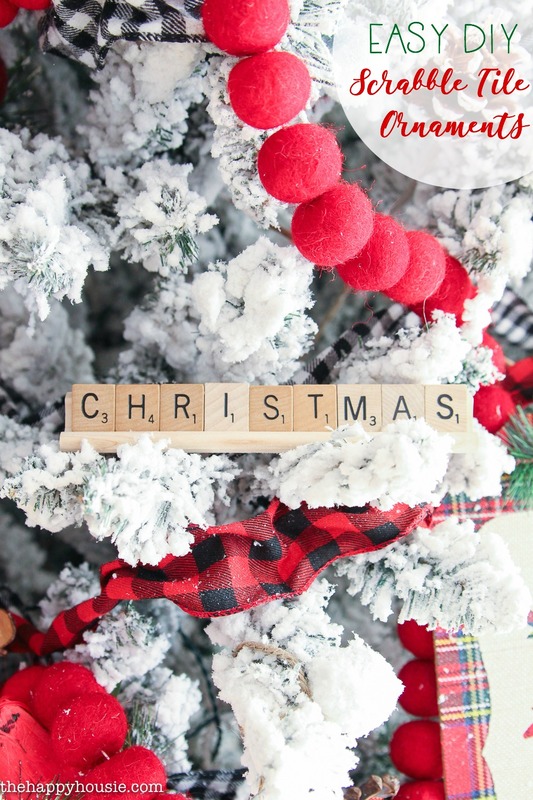 You can spell anything you want; but fun Christmas related words look great perched on your tree! To make these I used scrabble tiles, a tile display board, and a glue gun. You could also attach some twine at the back and hang them on the tree, but I chose to just perch mine on the branches. Simply glue the tiles in place, and display! Alternatively, you could add some small bead picks on the edge to add some extra Christmas-y flair. Super quick and easy! 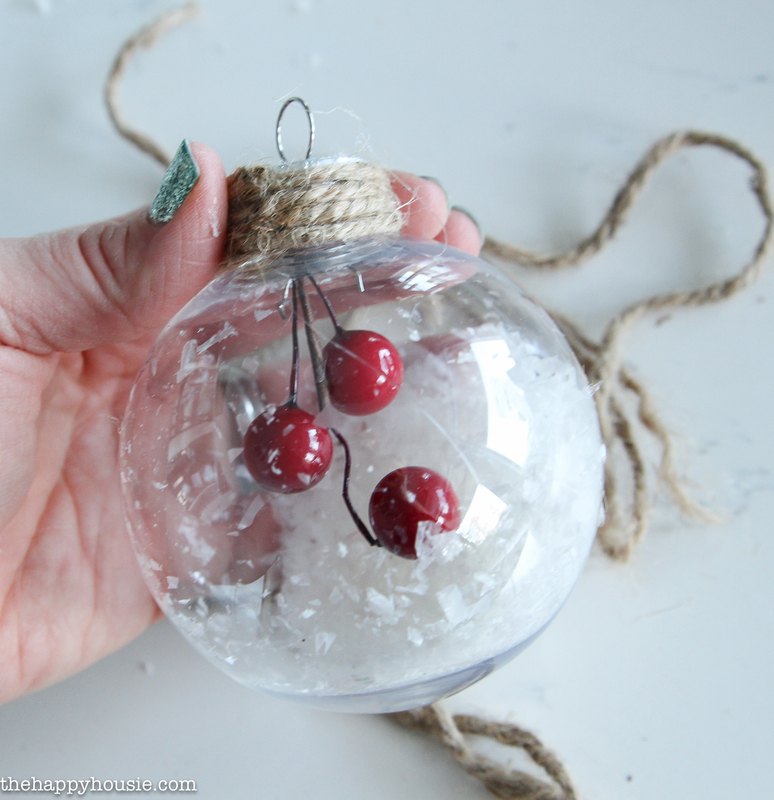 And there’s more beautiful DIY ornament inspiration ahead! LOVE your ornament idea! Those bright pops of red against the flocking is so perfect! So cute! Can I ask where you got your felt garland? I’m on the hunt for one! I used to do two trees in our last home- one faux and one real. Since we have downsized, it’s one tree and it’s a faux one. I love the cranberry/snow ornament. Super cute. These are so cute and festive, and I love the flocked tree! Thanks for hosting such a fun hop! You’re putting up 4 trees? Wow! I may do 2, but that’s a stretch ha ha. Can’t wait to see them all decorated with these cute ornaments!